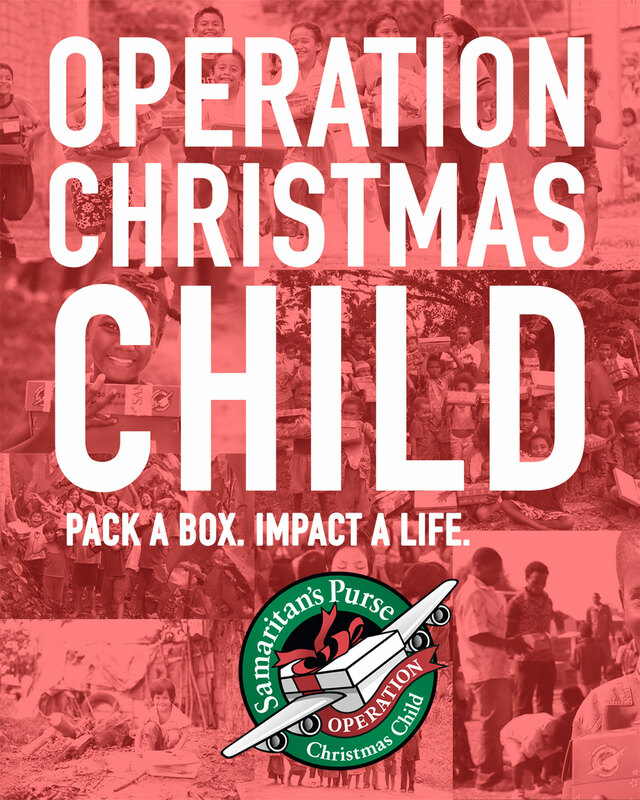 Fellowship Church is partnering with Samaritan’s Purse this year for Operation Christmas Child. With your help, children (ages 2-14) around the world will experience the joy of receiving a gift on Christmas. The shoe box gift that you make will be sent to a child who most likely does not know Christ and may have never before received a Christmas gift. And, as children receive their gift, they hear about the ultimate gift, Jesus. Join us as we share the good news of Jesus around the world, one child at a time. To build your shoe box, simply follow the steps below. Get a standard size shoebox to pack for a boy or a girl. Select a quality "wow" toy such as a doll or a soccer ball with pump, or stuffed animal. Fill with other fun toys, hygiene items, and school supplies. Most importantly, pray for the child that will receive your gift. Include a personal note and a photo. Include a cash (no checks please) donation of $9 to cover shipping and project costs.